The Ecclesiastic recorded that the race nor the battle lies not in the hands of the swift nor the strong but time and chance happen to them all. It’s similar in our showbiz industry around the world especially in Ghana. Thus, it can be very difficult for a musician who was once an A-lister to come to the realisation that they are not as famous as before. Many are, therefore, forced to do some crazy stuff just to get attention from showbiz enthusiasts especially their forgotten fans. But the hard truth is: they are just not going to make it like they used to! On records, between 2009 and 2013, there was no female Hiplife artiste bigger than Eazzy. With hit songs like “Bɔ Wo Nsam Ma Me“ and “Wengeze”, a stint on Big Brother Africa and her romance with Keita. Truth be told, Eazzy Was the icing on the cake between 2009 & 2013 and her presence can be linked to the slogan of telecommunication giant, MTN – Everywhere You Go. 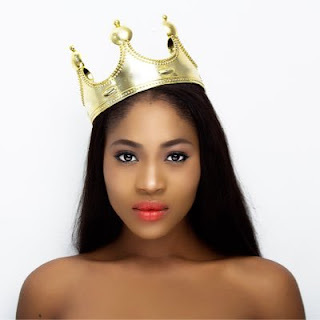 But somewhere along the line, the unexpected in life took its course and the brand Eazzy started diminishing after she parted ways with Richie’s Lynx Entertainment. Fast forward, new crop of female acts like Kaakie and MzVee popped up and killed Eazzy’s music shine. In the last three to four years, she has released a number of good songs but they have been drowned out especially as the late Priscilla Opoku Kwarteng affectionately known as Ebony unexpectedly revolutionalised the music industry. It is only natural that she would be worried about how her star seems to have dimmed but in an interview with Graphic Showbiz on Tuesday, February 27, 2018, Eazzy says she has nothing but love for her ‘successors’ since she has had her time. “Oh no! Why will I envy anyone? “The truth is that I’ve had my time and I enjoyed everything that came with the attention at the time. Fame is seasonal and I admit it’s time for other people to enjoy the spotlight so that is fine. “Besides, there were other female artistes before me and I don’t think they didn’t want me to succeed. As an artiste, I perfectly understand that aspect of show business and I prepared for such a season. I don’t allow such things to get to me because I’m a positive person,” she said. For Eazzy, born Mildred Ashong, the shift of the spotlight off her pushed her to engage in other anonymous profitable ventures. Regardless she admitted that the music business is all lucrative when you’re topping charts and enjoying the attention as a big artiste but the financial flow drops as soon you don’t get much spotlight.